Epcot is my favourite park in Walt Disney World, there's so much to do that I could spend days there and still want to do more things. 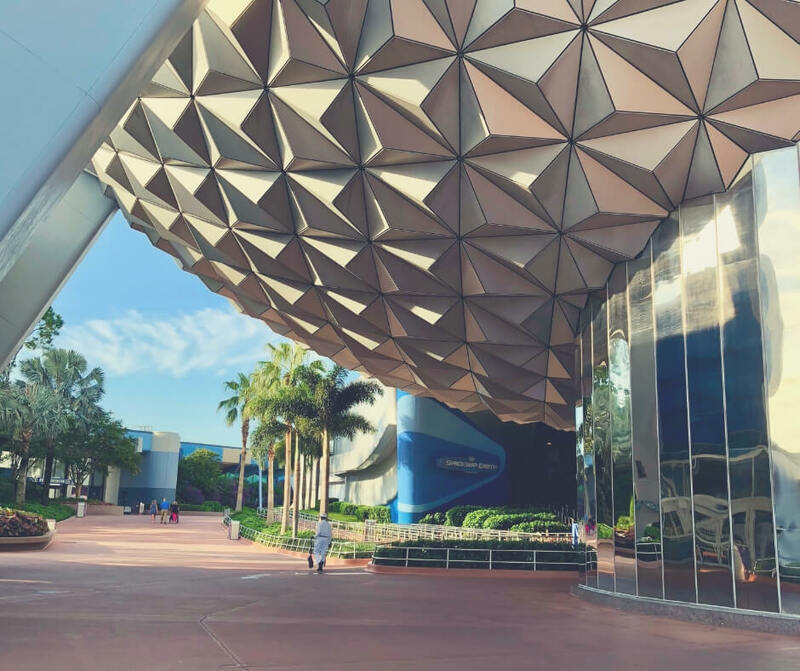 However, I do know that time is limited and knowing which things to do is difficult and that's why I'm sharing the top 7 things you should do at Epcot. This is the first ride you'll come across as you enter Epcot, but don't join the queue first thing in the morning. If you wait until later in the day, like when you're about to leave, the queue will be shorter later in the day because people tend to try to ride it first thing in the morning. Spaceship Earth is a good ride for all the family, you sit on a train type thing and it takes you around various 'rooms' where you'll learn about human history. No matter how many times we ride Spaceship Earth I still enjoy it, I could probably tell you the entire script but that doesn't make me like it any less. If you see a long line, try again later - you'll usually find the queues shorter later in the day. Travel to Mars just like real astronauts, enter the 'spaceship' and get yourself secured then prepare yourself for a trip through space. The great thing about this ride is that you don't have to like rollercoasters or fast/spinning rides. There's 2 versions of this ride, orange and green - the orange is the more intense version and features spinning. My boys love this, but when I want to go on the ride we go for the green. Green is less intense - in fact it's not really intense at all. It's a simulator, which means if you don't like to be in confined spaces you should probably give it a miss but other than that there's no reason not to ride. While this is a ride what I'm really saying here is visit the aquarium. To get to the aquarium you can either ride the Nemo ride or enter via the shop on the opposite side of the building. I love the aquarium because you can see all kinds of sea life. 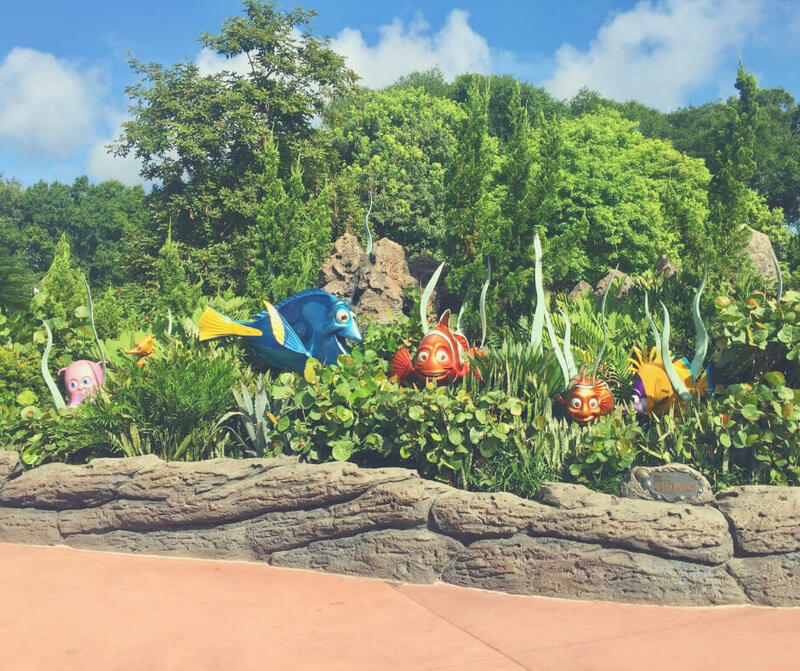 Dolphins, manatee, plenty of fish, and even turtles can be seen in the huge tank and there's always cast members around to teach you about the animals too. We've seen divers in the tank feeding the fish, the manatees being fed, and we've learned about the various species of fish in the many small tanks in the area. I always enjoy being in the aquarium, even when it's super busy. In the World Showcase there are 11 pavilions where you can see and experience culture from different countries. Some of the pavilions are better than others and Mexico has always been my favourite. 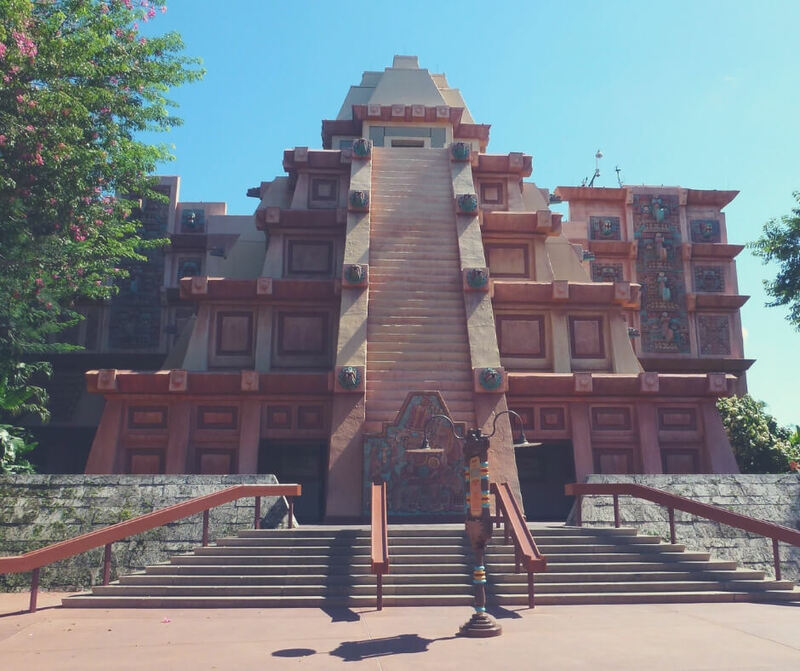 It has a certain atmosphere that the others don't have and there's also a ride, Gran Fiesta Tour with The Three Caballeros, which is a gentle boat ride around Mexico. You can buy yourself a margarita, see interesting wooden carvings, and eat authentic Mexican food. After visiting Mexico be sure to head around to American Adventure where you'll hear Voices of Liberty - a choir of a cappella singers who sing American, and Disney songs under a dome inside the pavilion which amplifies their voices. You should sit on the floor under the dome because it's the perfect place to hear their voices as they echo around the building. Before our last trip we hadn't seen the Voices of Liberty but now they'll be on our list for next time too. Not one to miss. In the UK pavilion you'll see a rock band that play classic British songs. Despite it being almost like home I love visiting the UK pavilion and watching British Revolution. We found that our favourite show of the day tends to be about 4pm, I think they do 4 shows per day. Each show is different, so if you've been to one that doesn't mean you can't go to the next. There's always fun to be had when you're watching British Revolution and do look out for one of the guitar players playing his guitar behind his head! LP loved seeing that! The firework show at the end of every day is amazing, listen to awesome music while watching the breathtaking fireworks. The fireworks are set over the lake and there are huge lanterns around the lake that they light before the show. My top tip would be to get the kids a cold drink - perhaps a slush - and grab yourself some popcorn, and enjoy the show. Epcot is full of brilliant sights and if you have the time I'd encourage you to walk around World Showcase a few times, it's such a peaceful area of Walt Disney World - even when it's busy. 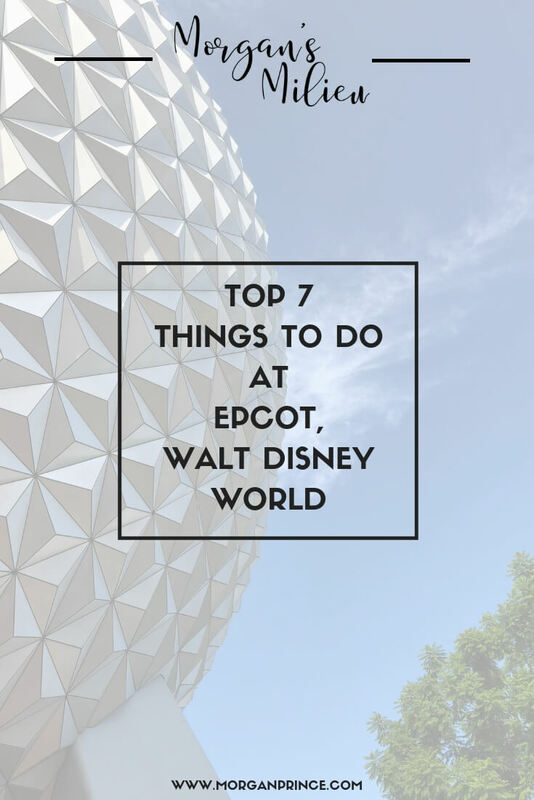 What are your top things to do at Epcot? 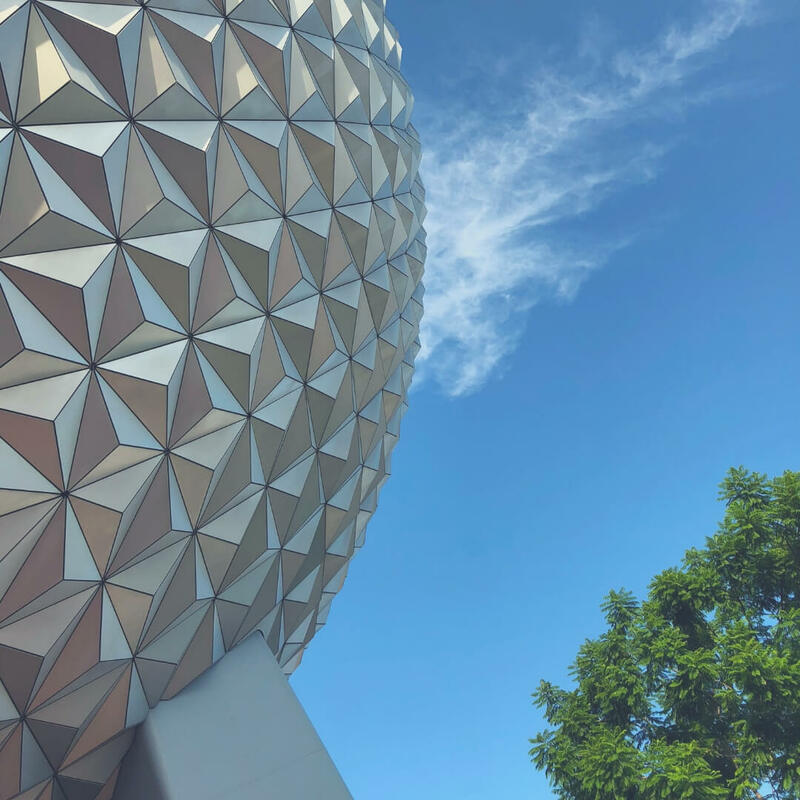 If you enjoyed this post you'll enjoy The best rides at Epcot or if you'd like to know more about Walt Disney World read Things to know before visiting Walt Disney World. Do stop by Facebook and let me know your favourite things to do at Epcot. To become an organised mama so you have more time to plan and arrange your next trip to Walt Disney World grab this organised mama pack.